Tesla is struggling to break the German auto market. If you look at Tesla’s performance in Europe and compare it with what’s happening in Germany, you will realize that things are not exactly going as Tesla would have wanted. Germany, the fourth largest economy in the world is also home to a huge auto market. The auto industry is one of the largest industries in Germany with a turnover of Euro 423 billion in 2017, 20% of total German industry revenue. In 2017 Tesla delivered 3,332 cars in Germany, much better than the 1,908 cars it sold in 2016. In comparison, Tesla delivered 8,460 cars in Norway and 3,317 cars in Netherlands – markets that are much smaller than Germany. Tesla’s performance in 2017 was good, but nothing when compared to BMW, Mercedes Benz and Audi, as each one of them sold more than 250,000 cars during the period. Between January and May 2018, Tesla sold 972 cars, while the German trio sold more than 100k cars each. No. Germany is as healthy as it can get. So, its clearly not the economy and not because of a downturn in the auto market either. Is Tesla prioritizing other European countries? With demand always staying ahead of production curve, Tesla may have chosen to concentrate on certain European countries. Germany has the infrastructure in place to support mass adoption of plug-in vehicles. 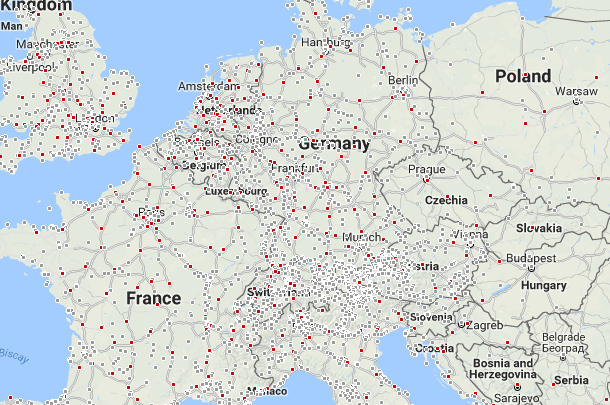 Tesla has 70 supercharging stations (includes under construction superchargers) in Germany. 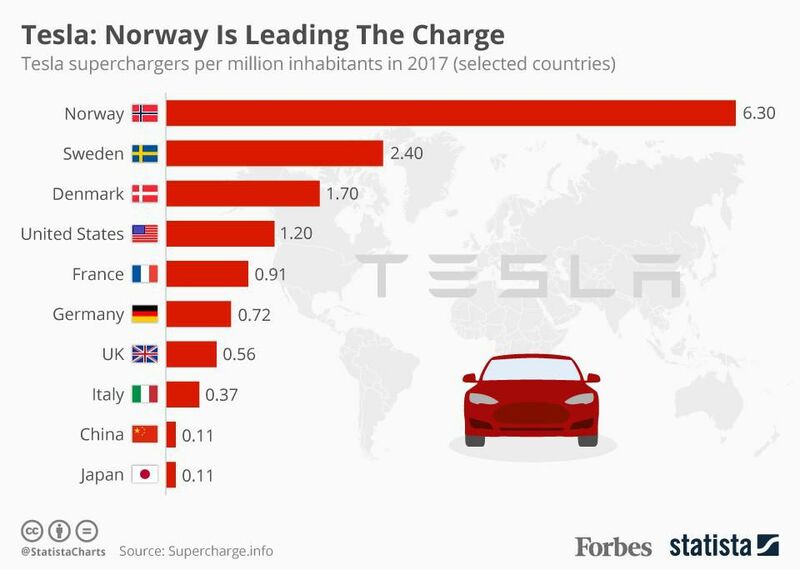 But, if you take a closer look at the supercharger density (number of charging points per inhabitant), it becomes clear that Tesla has prioritized Norway, Sweden and Denmark, over Germany. These countries are far less populated than Germany, making things a bit more easier to spread Tesla’s supercharging network. 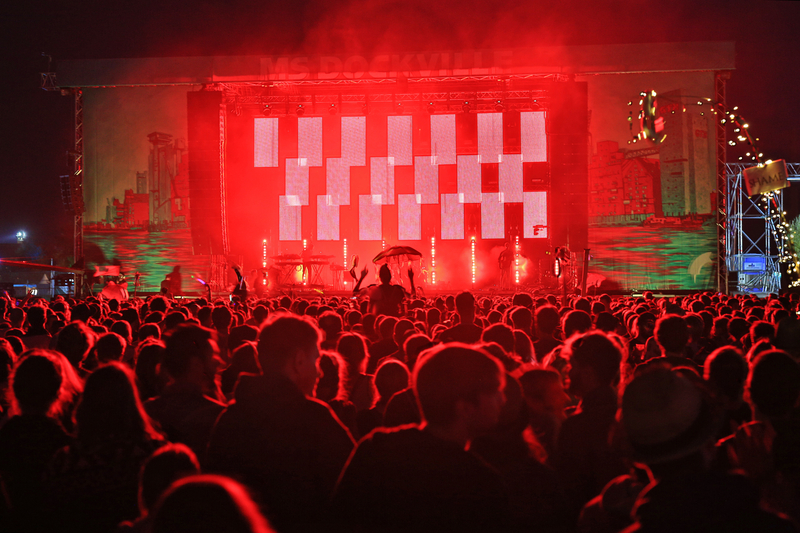 Tesla has chosen to win the smaller battles first before gearing up for the bigger battle. Will Germany be a winner for Tesla? It is not going to be easy for Tesla to win Germany. It might be a long drawn out war with the German auto makers. Let me ask you this. If you had been working at Ford or General Motors for the last 20 years and you continue to work there, what are the odds of you buying a Tesla? Nearly 14% of Germany’s GDP is from the automotive sector, employing hundreds of thousands of people and indirectly benefiting millions in the country. So its not going to be easy for the Germans and the German government to happily welcome Tesla or any other foreign auto maker. It will get better over time and things will certainly improve after Tesla starts building its cars in Germany. Until then it will be a struggle in the lions den. Tesla is taking the slow and steady approach in the fourth largest auto market in the world and its the best path forward.